We provide inspection services in Lethbridge, Taber, Pincher Creek, Highriver and all points between, and we are the oldest and most experienced home inspection company in the area. We have been providing services to local home buyers, home sellers, and Realtors® for over 20+ years. We also offer the only Registered Home Inspector and nationally certified home inspector in the local area. As the oldest, and many consider the top, home inspection firm serving Lethbridge, Taber, Pincher Creek, Highriver and all points between, we have performed more than 20,000 plus professional home inspections. Our experience covers new and older houses both, and we are qualified to inspect homes of all sizes and costs. Our additional inspection services, such as mold sampling and indoor air quality testing, offer options to our clients, as well as the exceptional customer service we provide. Real Estate agents approach us concerning home related topics and education because we are a leader in the local home industry, and we are in the process of becoming certified to teach Continuing Education Courses. Each home inspection will typically take from two to four hours to perform, and a complete report that is highly detailed is provided on site together with color photos of any home components or items that may be an issue. Questions are encouraged by our home inspectors at any stage of the process, and we want clients to participate in the inspection. Mike Hemmerling is active in the local community, both as the Pillar To Post home inspector for Lethbridge, Taber, Pincher Creek, Highriver and all points between, and as a community member and business owner. Mike Hemmerling is a Certified Pillar To Post Home Inspector. He is also a Registered Home Inspector. Mike Hemmerling is licensed as a Home Inspector. He is a Pillar To Post franchise owner and operator for the past 20+ years. Mike Hemmerling is a member of the Lethbridge Real Estate Board. He is National Certificate Holder with Canadian Association of Home & Property Inspectors. Mike Hemmerling has a Construction Engineering Technology degree. He has an extensive construction and renovation background. 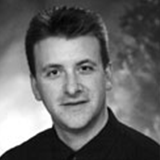 Mike Hemmerling served on the Canadian Association of Home & Property Inspectors Board for 2 years. We also work with local real estate agents, and these Realtors know that we are the oldest and most experienced home inspection company in Lethbridge and the surrounding areas. Realtors feel confident referring us to their valuable clients, as well as their friends and family. We are trusted to protect the professional reputation of the Realtor. Many customers have said that the detailed report and pictures make the inspection findings very easy to understand. Our inspectors take the time to educate our clients on the home condition, but also on the operation and maintenance of the home as well.